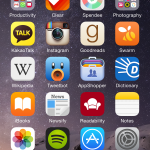 Yes, there are a ton of iOS apps that promise to rethink how everyone can deal with their daily email deluge. 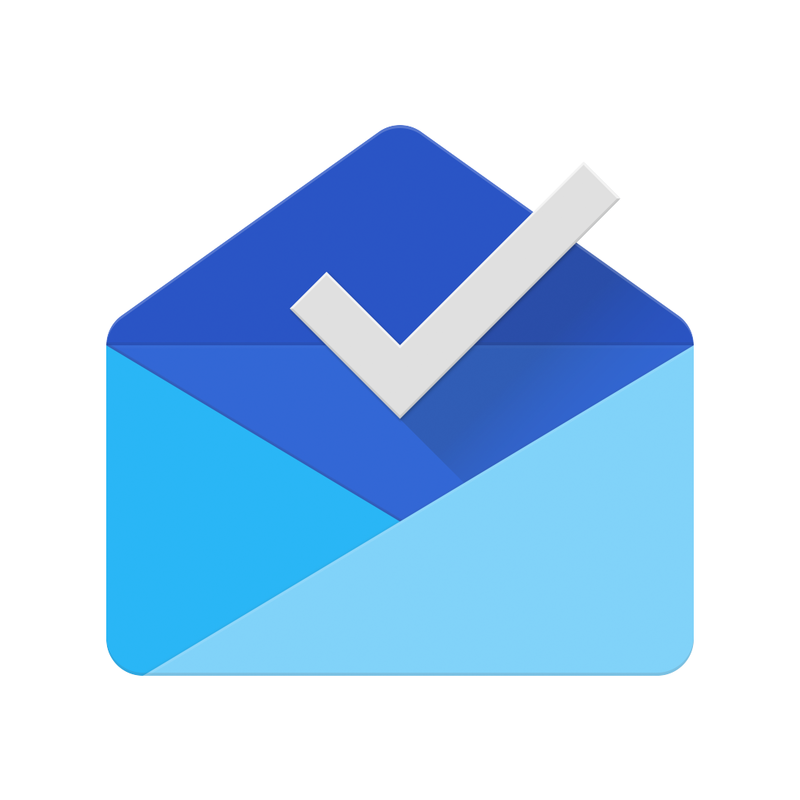 We’ve covered a number of options like Mailbox, Inbox by Gmail, and many, many more. 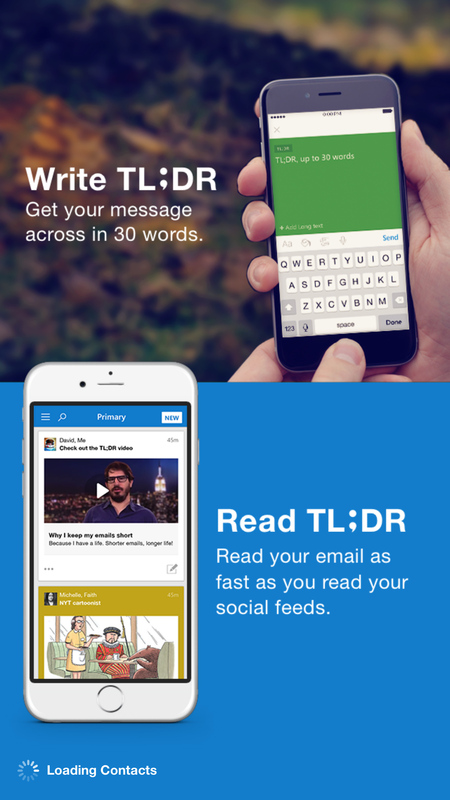 But a new app, TL;DR Email, brings a fresh and interesting approach to the mix. 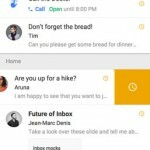 As you probably know, TL;DR is Internet speak for “too long; didn’t read.” And the app wants to turn your Gmail inbox into a combination of social network and short messaging service. The app’s hook seems to be its limitation on long emails. 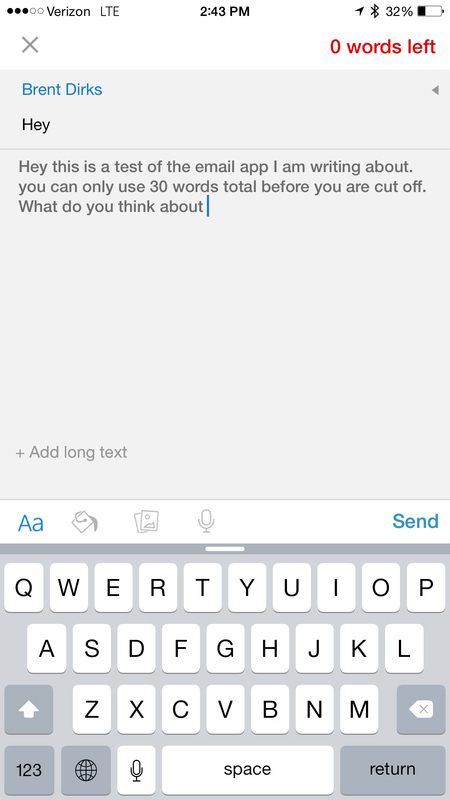 When using the app, you can only write 30 words total. You’ll be greeted with a word counter on the top right corner to help keep the correspondence brief. The app tries to help keep your emails brief. If you really need to say more, you can select the “Add long text” option. But it really wants users to keep their emails short and sweet. Any emails in your inbox are presented as a Facebook-like News Feed, showing the first 30 words. Simply selecting the message will show the entire email. But you can also choose to archive the email or save it to read later. TL;DR Email is designed for the iPhone/iPod touch and can be downloaded now on the App Store for free. Interestingly enough, the app even received a seed investment from the co-founder of short messaging app Yo, Moshe Hogeg. After using the app for a few minutes, I was generally impressed. While I’ve been a big fan of Inbox by Gmail and will still be using it for any Gmail correspondence, I know more than a few Leo Tolstoy’s in training I’ll be telling about TL;DR Email. For other app news and reviews today, see: Be more productive with your Mac thanks to Alfred Remote, Tumblr update brings integration with 1Password, new notifications and more, and Facebook doesn’t seem to be giving up on its Paper app just yet.